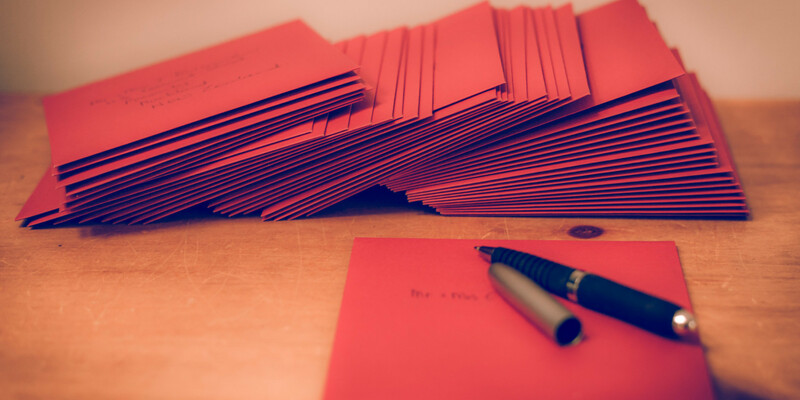 Already Christmas cards feel like an odd survivor, getting by on the juice we ring out of the last nub of guilt because we know we’re giving up on something good but time-consuming – the oxymoron of our times. Here are seven reasons why I think, cards on their way out. You bought a book of first-class stamps recently? Great Aunt Daisy in Dawlish, the one who lost her uppers in the goulash that one time and who confuses you with the chiropodist? Is she worth a second mortgage? Really? Because last time you met, at a family funeral, she was clear about her disapproval of your lifestyle and your incommodious footwear. You’re in touch with your people all the time now. The idea of a round-robin, catching up over the last year, has gone the way of the pigeon post and Bazooka Joe. You want to know about my brush with the law, end-of-year bonus, progress with esperanto? Check out my Instagram feed. Like Jesus said, follow me or hit the bricks. This was a “Christmas Card” I got this year. So far down the other end of the Season of Goodwill spectrum it might as well been a picture of Hammy the Hamster garrotted by chicken wire. A photo – get this – a Facebook photo of Brad and Susan on the beach at Barbados in the summer. A note attached saying – “No Christmas cards this year, instead we’ve given a donation to Great Ormond Street Hospital”. So this is about you, Brad and Susan. About you feeling good about your holiday, about your generosity and about your lifestyle. 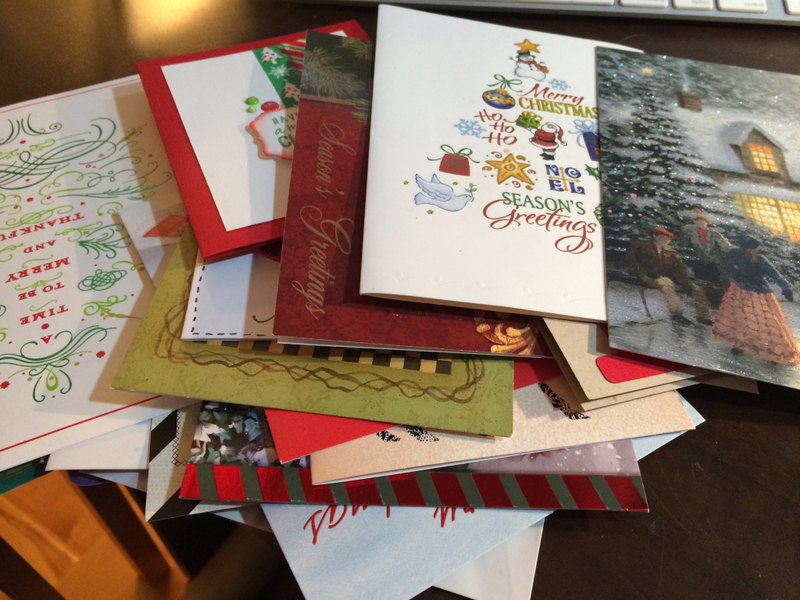 Not about (a) Christmas or (b) goodwill or (c) me (literally because I was part a batch-sent e-post). And how much to charity exactly? Because Barbados ain’t cheap, Brad, and last time I heard they were downsizing scrum masters at Deedr because they missed out in the last funding round. And, PS Brad and Susan, what’s wrong with doing both? It’s allowed. “Brad and Susan will not be picking up their dry cleaning on Tuesday but will be making a donation to Battersea Dogs Home instead.” Multi-task, you muppets. No-one writes any more. The muscles have atrophied. Last time I wrote a sentence with a pen, I lost control of my vowels. Each year one of my lesser New Year’s Resolutions is to I write with a proper ink pen, get my calligraphy back in the game. But there’s nothing to write. Come springtime, when I’m adorning the Basildon Bond with some Dickensian bon mots the ink has dried in the nib. Christmas cards are about beginnings and ends. The intro and the sign-off. Already the festive message has been delegated to Hallmark so it’s all about the terms of endearment. And who knows the rules? “Dear.” Seriously? I’m getting all sorts of hipster intros on my emails from the “Hey” to an “oright?” and I’m thinking Jane Austen, where are you now? Then there’s “love”. Who do you love? And is “love from” less of a potent offer than unadorned “love”. And if there’s no “love”, just “best wishes” when did the love die? Because that’s when you really need Hallmark – that cold milestone. We covered this at the top of the show with the cost of post but, in inverse correlation, is the ignominious decline of the royal postal “service”. First class is “sometime soon”, second class is “we’ll stick it in a container to Peru with a bubble-wrapped Ford Cortina and see what happens”. Soon they’ll give up the ghost on the “last mile” delivery service and we’ll have to queue in a chilly warehouse behind B&Q to pick up our junk mail and bills. And who wants to do that? If it’s important, they’ll Message. This is a tough one. But the world is big and scary and there are just millions people, most of whom are having the hardest time and living the hardest life. And try as you might, you can’t care about all of them like you should. Some are ill. Lots have no homes and seem to trudge forever along muddy trails. Many have crying, bewildered children who are either hungry or weary or sick or all three. There’s just too many of them, just too much pain, so you harden your heart a little. Compensate by caring with ever more intensity for those for whom caring is a practical option and, with greater or lesser guilt, relegate the rest to a low ambient hum of distress, requiring regard but not a Christmas card, not this year. Really, really busy. Soz. Is your office like the survival of the fittest?